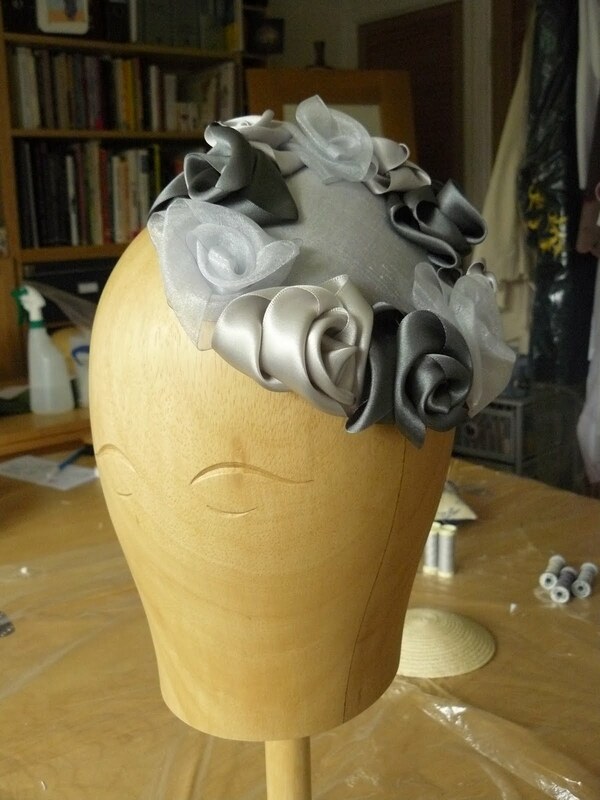 Silver in this instance! 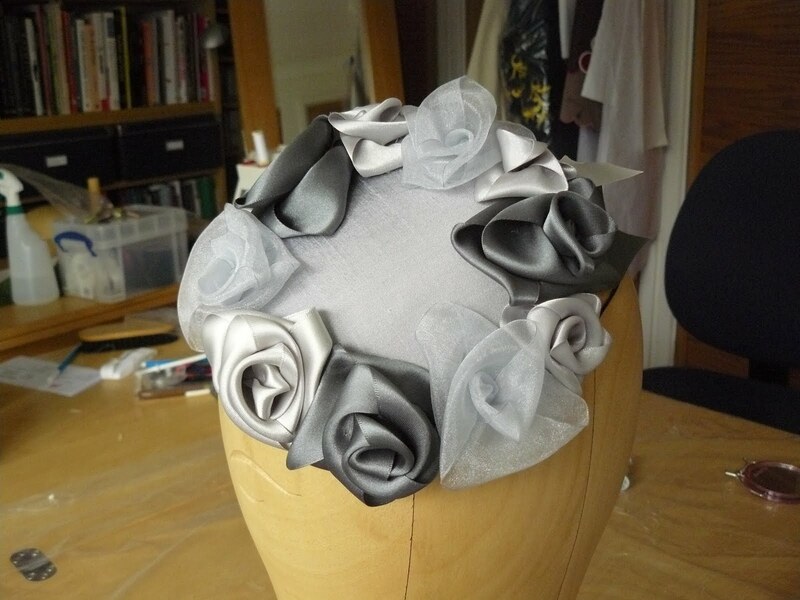 As I have finished the latest wedding dress for my lovely friend Carley who gets married tomorrow I thought I would get back to my adventures in hatting. 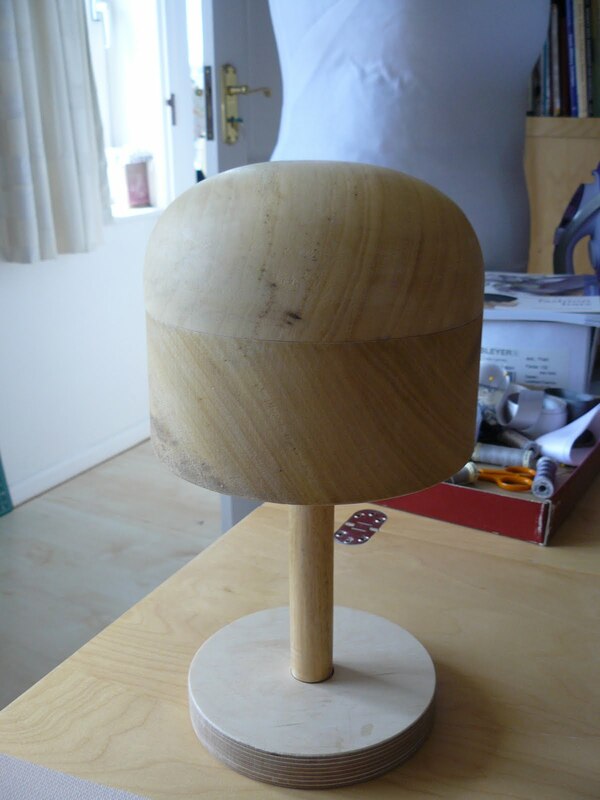 A couple of months ago I bought my first hat block from Guy Morse Brown, but sadly I've not yet have time to try blocking anything on it. So now I've got time what else could I do but make a new hat to go with my outfit for Carley's wedding! 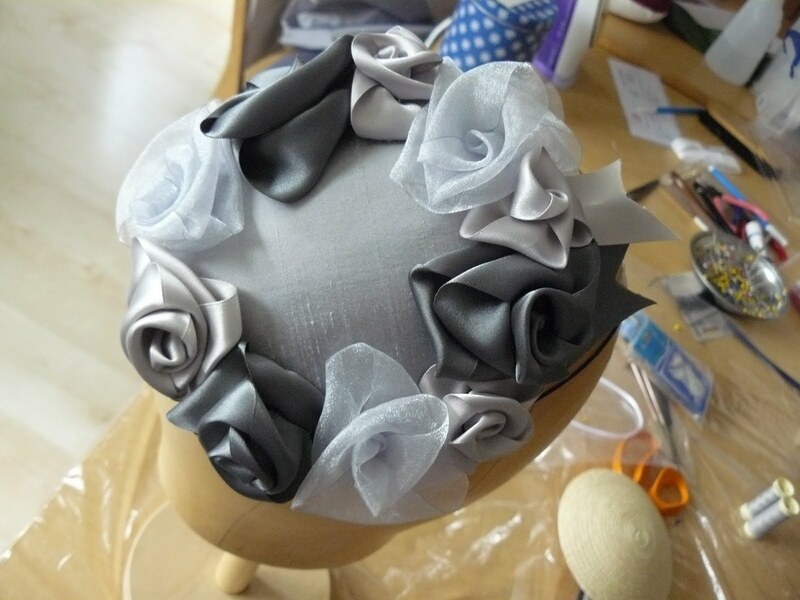 The block is a basic dome crown which is recommended as a first block as you can make lots of small disc shapes with it as well as pill boxe and a small cloche shapes. 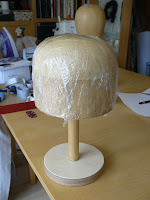 I started by covering it in clingfilm to protect it from the sizing in the buckram I was using. Sizing is a sort of glue come stiffener which holds the buckram in the shape that it is blocked into. Having dampened the buckram I placed it over the block and started pulling it down and pinning it to eliminate as many creases as possible. Once the buckram is wet the sizing gets incredibly sticky and when I next do some blocking I am definitely wearing rubber gloves as it took forever to clean the stuff of my hands afterwards! I managed to smooth the creases out over the top of the block, the sides were still a bit creased but as I was only planning on using the top I did not worry too much! 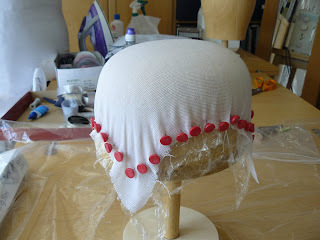 Once the buckram had dried completely (with the help of a hair dryer) I removed it from the block. 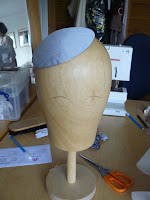 This was quite a struggle as it was pretty solid once dry and once the pins were removed I had to insert a thin spiral bone between the block and the buckram and lever it off! 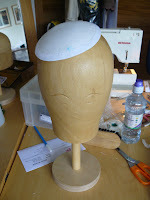 Having decided beforehand that I wanted a small circular perching hat I cut out a circle or abour 10cm diameter from the top of the blocked buckram. Like my other hats I then wired the edge and mulled the buckram with interfacing to soften the form. 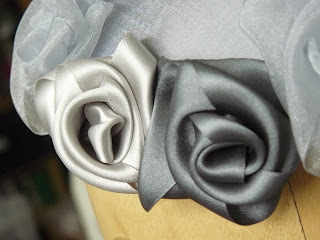 I then covered it with silver silk dupion to match my jacket and dress. 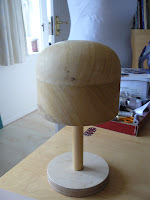 So having finished the form all that was left was to decorate it. This is always the most fun part and I thought that the selection of grey and silver ribbons I'd got to match the outfit would make nice roses for a fairly vintagey kind of look. I'd finally found a way of making roses that actually look rather like roses rather than squashed cabbages! In fact, I think they have a rather Rennie Mackintosh Rose look to them and am rather pleased with my first attempts at blocking.